The Guitar Toolbox series is a ground-breaking new method of learning modern guitar basedupon moveable scale and chord shapes. 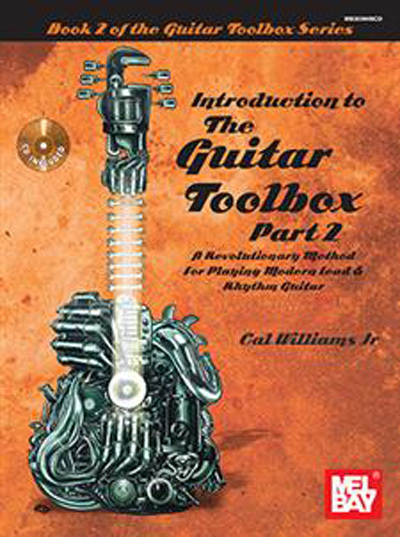 The Guitar Toolbox series steers away from the traditionalclassical guitar methods used in other guitar books and is the first book of its kind to approachthe guitar from a modern guitarists point of view. The Guitar Toolbox series takes the studentfrom the simple pentatonic scale foundation to playing the complete major, minor and bluesfretboards. The Guitar Toolbox series also infuses the students chord palette with triad chordsbased around the 1, 4, 5 and the complete perfect chords in all keys.